Most people don’t welcome the process of a divorce, but for many couples it becomes necessary to end their marriage and move on in separate directions. Since marriage is a legal institution, divorce must also follow specific legal requirements. If you are currently beginning your divorce or suspecting it will occur in the near future, this guide will help you get started. Although many state laws vary throughout the country, Florida remains consistent with all other states that legal action cannot be taken against somebody who has not been properly informed of the legal process. This formal notice is called service of process. 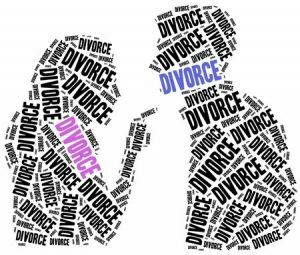 The spouse who files for divorce needs to have divorce papers personally delivered to the other spouse with the help of a process server. Divorce papers consist of a summons and a complaint that give the receiving spouse a specific number of days to respond. This service of process is a critical component of the integrity of the American legal system. Some spouses are easy to locate and serve, but others are far more difficult to track down. This is why the legal system provides three methods of service to meet the needs of all situations. It is critical to work with an experienced process server to ensure that all service requirements are met, regardless of the type of service used. The first type of service of process is personal or “hand delivery” service, and it is the most common and effective form. During personal service, the process server goes to the recipient’s house, knocks on his or her door, and hands over the divorce papers. As long as the process server properly documents the events of the service, hand delivery is very difficult for argumentative spouses to challenge in court. However, when the spouse that needs to receive divorce papers is estranged, elusive, and difficult to find, alternative methods may need to be used. One alternative method is substituted service, which can include using registered mail, leaving the papers with another adult at the residence, and affixing papers to the entrance of the defendant’s home. When all else fails, publication of notice in a newspaper can be used to attempt to alert the defendant who was impossible to find and serve through other means. For professional and reliable service of process for your own divorce, trust Accurate Serve Fort Myers with your papers. The accredited process servers at Accurate Serve have been meeting the needs of legal professionals and individuals since 2009. Give them a call today at 239-822-7299 to learn more.